Toyota GT86 2.0 D-4S Blue Edition 2dr Auto [Nav/Performance] 2019 Review | What Car? What Car? will save you at least £2,320, but our approved dealers could save you even more. 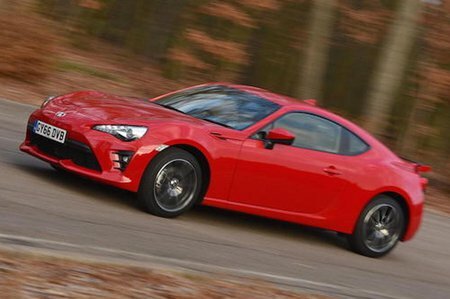 At the heart of the GT86 is a 2.0-litre flat-four engine that makes 197bhp and 151lb ft. It’s characterful and free revving, with good throttle response and an addictive growl. Paired with a slick six-speed manual gearbox as standard, it’s also available with a six-speed automatic.